A brand is a mental “Package of Beliefs” we form over time about companies or products. It is used to categorize and rate each in our mind. This can be based on personal experience, things we have heard from trusted sources, through research, or even what we’ve been told by their advertising and marketing. In this package, we put experiences and perceptions that immediately pop into our head whenever we see or hear the company name. A company develops a brand as soon as it is introduced to the consumer’s mind. It starts as simple as the condition of your website, how clean your bathrooms are, or how they were greeted when they entered your store. It’s their perception of what to expect when dealing with any particular brand. It can even be their “gut feeling”. These perceptions can develop simply through a manifestation of your actions or reputation, or what you have tried to present about yourself through advertising. Whatever people think about you, you earned it. You might be able fool folks for a short while, but sooner rather than later, the truth emerges. If you do or don’t deliver quality, it becomes part of your brand. If you do or don’t deliver good service, that becomes part of your brand. If you do or don’t deliver what they want or what is valued, that becomes your brand. Your brand is not what you say you are; it’s what they say you are. In this world of new communication, you’ve become transparent and exposed. You can’t hide the truth very long. Wise companies are realizing they can no longer let their brands just wander around. Too much is now at stake. Taking control of your brand through good research, planning and quality improvement will build your company’s staying power. 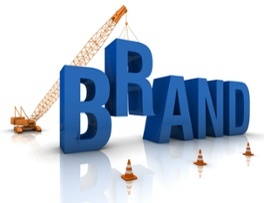 A brand is used by an organization to identify and distinguish its products and/or services from the competition. Differentiation is not a new concept. It actually got its start in the 1940’s in early television. Back in the 1980’s Jack Trout and Steve Riven called it “The Tyranny of Choice” in their book Differentiate or Die. The tools are the features your company, product or service possesses which are buyer-relevant and unique from your competition. If these don’t exist, you’re down to a lowest price comparison—a bidding war. All these companies were able to position themselves apart from competitors in their categories and embed one thing you automatically attach to their name when you hear it. Your brand should strive to move you out of the “just another” status. This differentiation can often translate into sales. If you’re interested in learning more about how to separate and elevate your brand (and much more), download our free eBook, Marketing Survival in a Digital World.